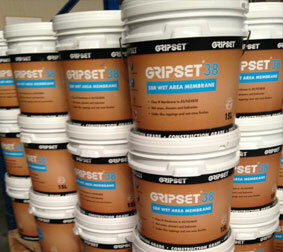 Gripset Industries is an Australian owned company that has been developing and manufacturing waterproofing products for over 30 years. In the early 1980's the company commenced developing alternatives to solvent based bitumen and resin coatings, using water based and solvent free technology. Gripset has never manufactured solvent or hazardous products, and is a pioneer in green friendly technology and continues as a market leader today. The evolution from this unique technology has led to the development of high quality waterproofing systems for wet areas, weather-exposed surfaces, subterranean structures, and continuously immersed areas, including potable water systems and protective pavement solutions. The company's focus on innovation has spawned the next generation of protective coatings, using 100% natural materials to solve industry and environmental problems. 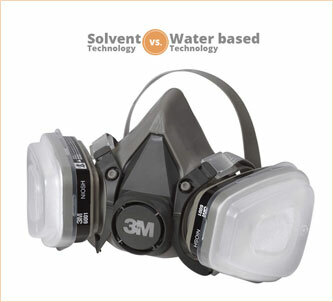 From this, the Gripset WB1 chemical free timber preservative system was launched. Free of biocides and chemicals, The WB1 protects timber from insects and fungus, treats and repairs wet/dry rot and provides all round timber preservation in a safer, natural way over traditional chemical base, toxic alternatives. Gripset Industries will continue its commitment and dedicated focus on R&D to provide the market with further innovative and sustainable solutions for the built environment. By simplifying many of the challenges in volatile areas we can provide a complete system to ensure your next waterproofing or pavement project is Sealed for Good. This is the Vlog where you come to see and hear about waterproofing challenges, product developments, industry trends, issues and Gripset’s latest product innovations. Please contact us for your nearest stockist and advice for projects. If you need to show live footage onsite, then you can use Skype to show one of our experts the issue to resolve on the spot.